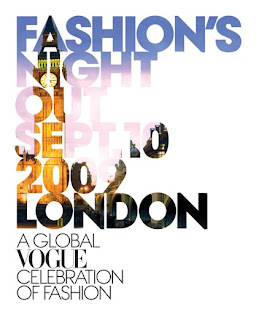 Fashion’s Night Out is a celebration of fashion and shopping, which will be taking place across the world simultaneously from London to Mumbai, New York to Shanghai. 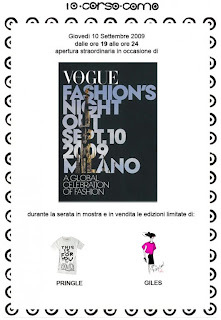 International editions of Vogue have partnered with their city’s major fashion brands to create an evening designed to remind everyone of the enjoyment that the shopping environment can offer. For one special night, over 200 of London’s leading department stores, independent boutiques, flagship designer houses and high-street chains are coming together to offer tempting in-store treats, one-off experiences and special star buys. for the countdown to this special evening.